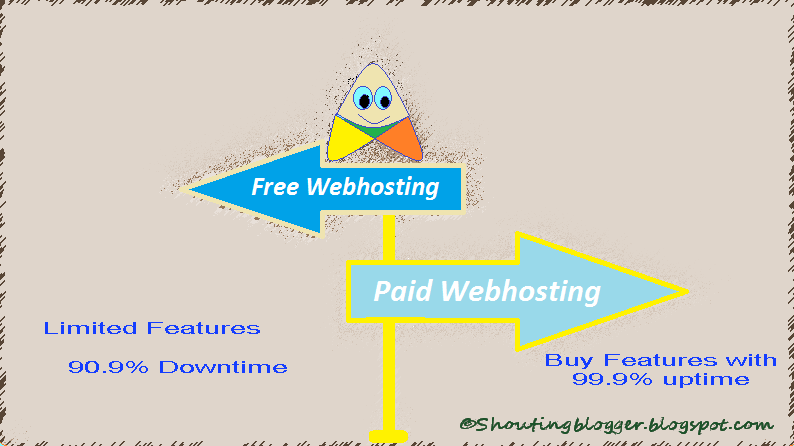 Free Web Hosting vs Paid Web Hosting - Which one is better and why ? 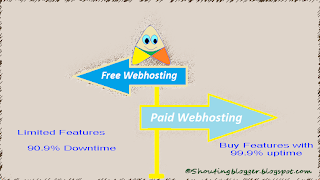 The Words " Free web hosting " itself shouting it loud that the hosting of website is free of cost , you don't need to pay for Sub domain name , Bandwidth , web hosting space , database etc , Technically all the basic hosting features are available for free . But it doesn't means that any web hosting company who is offering free hosting can replace paid hosting features for free ,All the free web hosting company dose not cost cent for hosting website but they provide free web hosting with limited bandwidth ,limited disk space ,Limited database and most important limited traffic/hours with low website uptime which is good for the Extreme low Traffic website . The Words " paid web hosting " clearly Means that Hosting of website is not free of cost you need to buy web hosting , Bandwidth , web hosting space , database etc .The paid web hosting company charges there end user a fixed amount of money depending upon the Hosting features like domain name , Bandwidth web hosting space , database ,ftp account, type of web hosting platforms ,Number of website etc . A web hosting Customer have a option to buy best hosting plans depending upon his/ her website requirement . In simple words ,You pay money in paid web hosting companies for 99% uptime , Assurance of what your are buying for particular web hosting companies . With paid web-hosting you can host any website according to the hosting plan and features offered by them . Which one is better ? Free Web hosting or Paid Web hosting . Although, Free web hosting offers limited web hosting Features due to which it can't bear lots of traffic ie visit/hour but still it has its own importance It is good for those who want to host website without investing money , also free web hosting is good for learning the web hosting basic and practices and proves to be good platform for the web designer for learning web hosting with real practice knowledge .Whereas the paid web hosting is for those who need there website online without any limitation and have money to invest for the web-hosting features .In one words ,Both free as well as paid web hosting are equally important as per the user needs . There is no cost for Basic webhosting ,Space ,Bandwidth,Database etc . You need to pay for web hosting ,Space ,Bandwidth,Database ,etc .